Story - 4: I really wish this book were bi-weekly. I'm enjoying myself a lot with this series. The sequences with Kenan discovering super hearing for the first time are well done. I appreciate how he is a totally different character than Clark. He helps the people to reduce the number of sounds he hears. He means well, but he also acts out of self-interest. There's room for him to grow into the title and Yang makes him work for it. 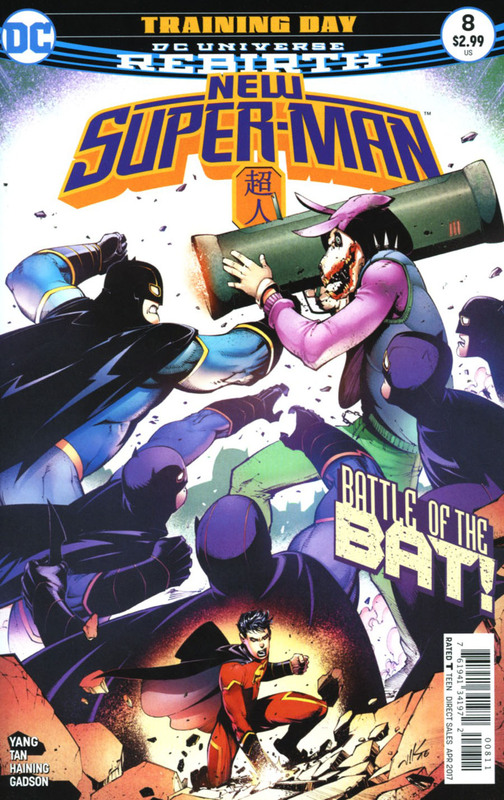 There were some pretty interesting reveals in this issue, namely the meaning behind the hexagonal symbol Kenan wears, the return of Super-Man Zero, and the reveal of Ching Lung as an upcoming villain. 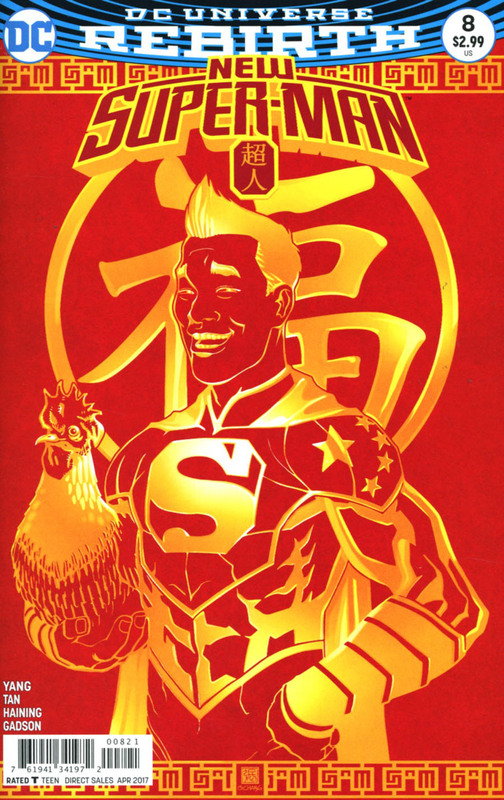 Ching Lung, for those unfamiliar with the name, is the Chinese man that was on the cover for the first issue of Detective Comics back in 1937. As for Super-Man Zero, I'm glad he's returning. I thought he was too fascinating and threatening to be a throw-away villain. The only aspect of the issue I thought could have been tweaked was the Bat-Man segments. They weren't bad, but I found myself wanting the issue to keep its focus on Kenan. I also found the "Baixi's sister is the saboteur" reveal a bit predictable, but not bad enough to take me out of the issue. With plenty of teases and new developments, Yang's got me excited for the next chapter. Art - 5: Billy Tan draws wonderfully. His style gives a whole new texture to the book that Bogdanovic's didn't. Bogdanovic's style worked, but gave off a light-hearted adventure story vibe. It worked for the first arc, but Tan's style adds that extra bit of realism that allows for dramatic moments to really shine. He also draws a great Super-Man. Cover Art - 2: The cover totally focuses on the wrong part of the issue. Bogdanovic draws well here, but there was really a missed opportunity here. Variant Cover Art - 3: Well, this is a bit closer to what this issue deserves, but it doesn't really do it for me either.